I’ve been going through my Lightroom catalog looking for interesting things to post to my Google + account and I came across this shot that I took at the Gilmore Car Museum in 2008. The car is a Buick Skylark Roadmaster, but I don’t know the year. I’ve just always liked this shot, the combination of red, black and chrome. The image didn’t quite start out with such a nice background. As seen below, the car was sitting on a driveway and you can see grass and pavement. The shape of the car was pretty easy to mask around, so basically I just blacked out all the parts that I didn’t like. I finished things up by desaturating some of the colors in the chrome on the bumper, especially to remove the green from the surrounding area. I think it makes the chrome stand out better. Please feel free to leave any comments, questions or feedback below. Copyright ©2008-2011 James W. Howe – All rights reserved. I never get bored of old cars! Love the curves and sheer amount of chrome in this shot. Also, those are some impressive white walls! Nice shot! Can I have one please? I promise I’ll be good!! sick ride and awesome shot. I really like what you did to the shot. I think it’s a 1953. 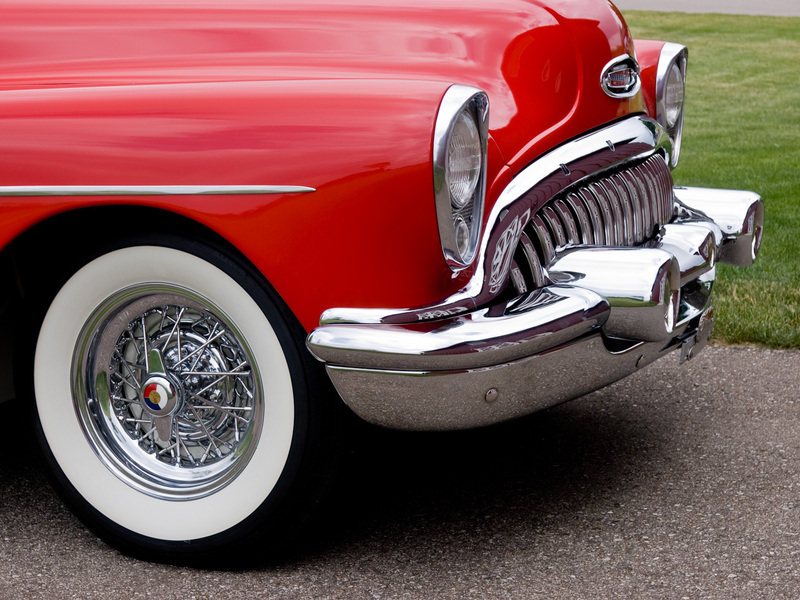 I fell in love with Buick cars as a kid. Our next door neighbour would get a new one every year and we’d ooh and aah over it. I think it had something to do with the port holes on the front fender. A ’53 might be about the right vintage. I try to keep track of that information, but I don’t believe that this car displayed the information. Thanks for the information! Very nice work. 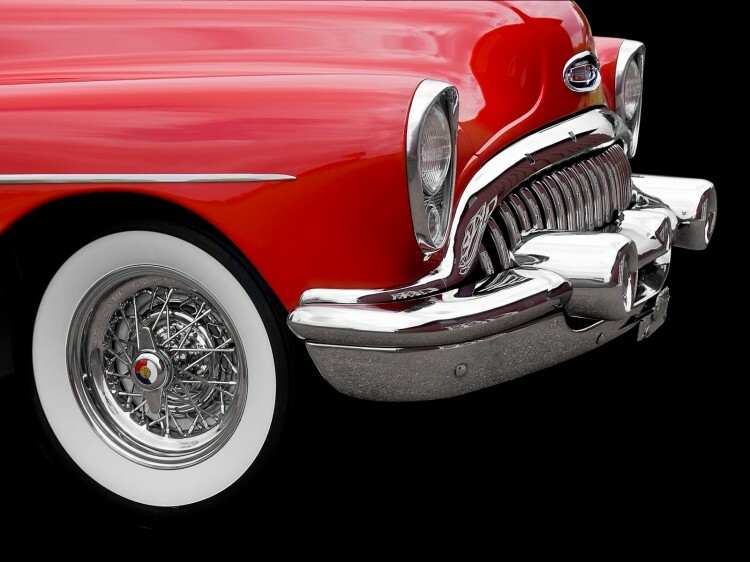 All red & chrome, those were teh days. I like how you dropped out the background. What a great car! Such gorgeous color!!! If I hadn’t seen the second shot, I’d have assumed this was shot in a studio. On closer inspection, the only thing that gives it away is the slight yellow/green tinge in the reflection near the emblem. Nice work!